The hotels in Gibraltar are reasonably priced but do check hotels over the border in neighboring La Linea de Concepcion. 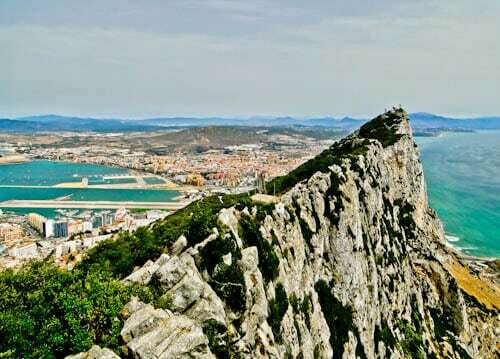 An interesting fact is that some people will visit Gibraltar just to add another country to their list! The Rock of Gibraltar is the one of the top things to do in Gibraltar and it’s worth climbing for the views of Spain and Africa on a clear day. 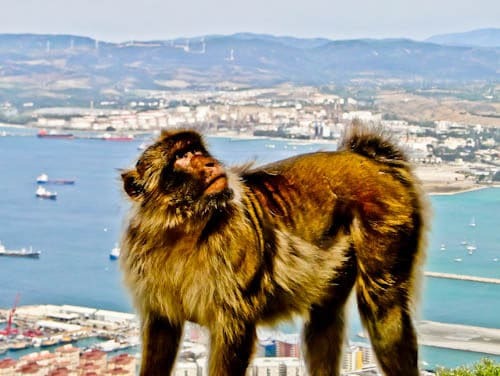 That’s not to mention the famous Gibraltar monkeys you’ll encounter up there! Did you know there’s a similar rock in Luxembourg and it’s often referred to as the Gibraltar of the North? St Michael’s Cave is part of series of caves located in the Rock of Gibraltar. The caves were formed over thousands of years by rain running through the limestone. 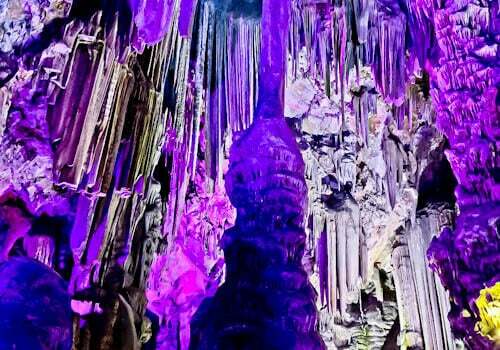 Inside are thousands of stalactites and stalagmites which are colorfully lit up. In addition, there’s an auditorium and for this reason St Michael’s Cave has a similar feel to the Rock Church in Helsinki. Gibraltar had a strategic location during World War II. It’s possible to learn about its importance during a visit to the World War II tunnels. An interesting weapon you’ll see is a 100 ton gun which could fire 8 miles. You can book the World War II tour online to help organise your time on the island. 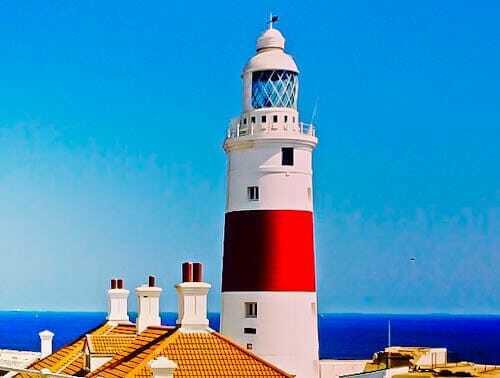 On the southern tip of the island is the Europa Point Lighthouse. It’s almost 200 years old therefore an important landmark of the country. If you decide to walk the perimeter of the island you’ll pass it, alternatively, look out for the lighthouse from the top of the rock. Did you know there is a similar color lighthouse near Ushuaia, Argentina? The Rock of Gibraltar is 426 meters high, it’s also quite hot in Gibraltar. 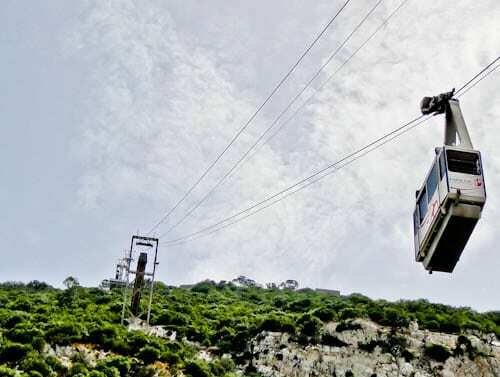 As a result, I recommend you take the cable car to the top! 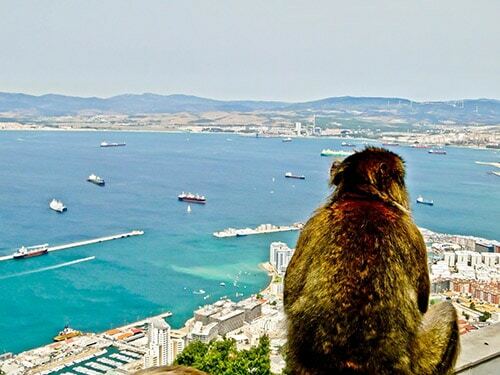 The top of the rock is famous for its views and of course the Gibraltar monkeys. However, there’s another major point of interest up there, the Moorish Castle. The history of the Moorish castle and fortress date back to the 12th century. All that remains today is a small part of the fortress which was built in the 14th century. 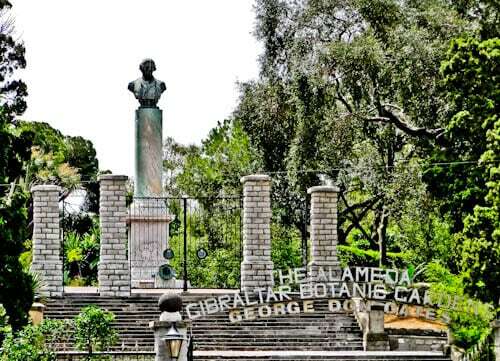 The Botanic Gardens are also known as the Alameda. These are picturesque gardens full of water features, birds and butterflies. There are also bats and the park often hosts a bat night event. For a full list of activities, visit the official Botanic Gardens website. An interesting fact is that there’s another park named Alameda opposite the Palace of Fine Arts in Mexico City. 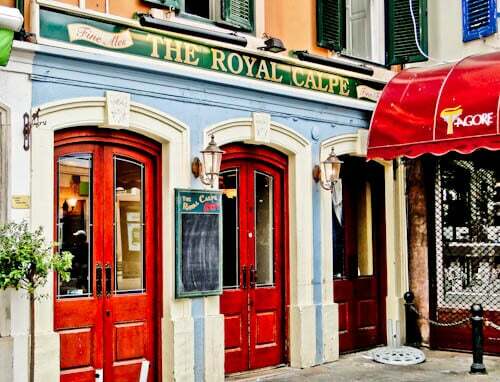 As you stroll through the streets of Gibraltar, you’ll see several British pubs. For this reason you don’t have to travel all the way to mainland Britain for the traditional pint! 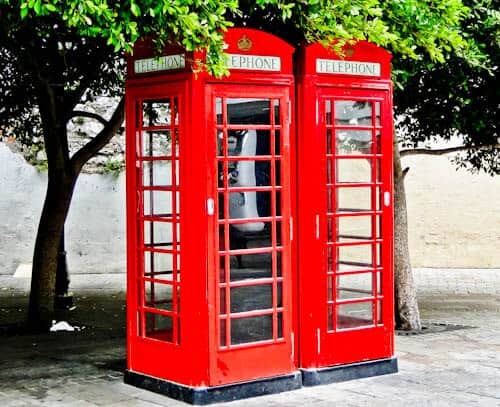 What are the cultural icons of Britain? Red post boxes, red telephone boxes, British history, British bakeries, pubs, Sir Winston Churchill and of course, James Bond. 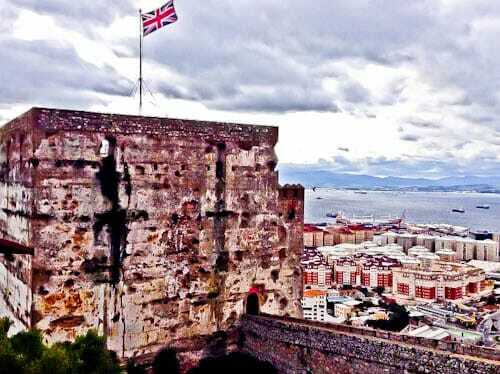 As you walk around Gibraltar you’ll see your fair share of everything British. 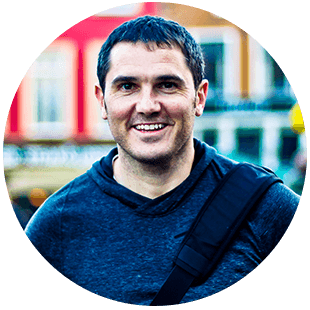 It can be quite a culture shock after visiting Spain. Which James Bond movie was filmed in Gibraltar? It was The Living Daylights in 1987. Have you ever walked over an airport runway before? Maybe, if you’ve bought a cheap flight! However, to enter Gibraltar you must cross an airport runway. 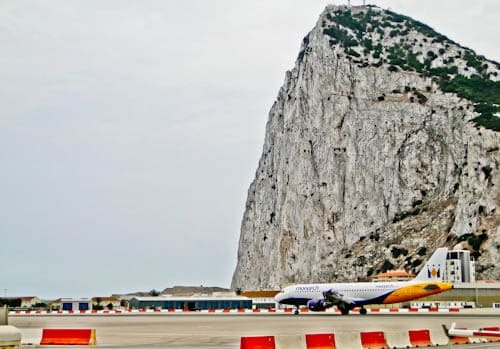 If you’re entering Gibraltar when a flight is landing you must wait until it’s landed safely before crossing. 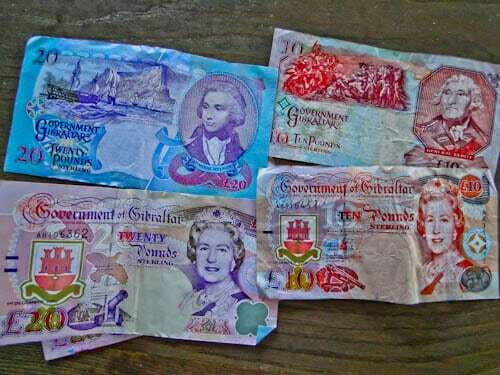 The official money of Gibraltar is the Gibraltar pound. This money is the equivalent to the British pound and everywhere accept cards so it’s unlikely you’ll come across it. If you require the money for collection reasons, simply ask at a money exchange, restaurant, hotel or go to the ATM. I withdrew the Gibraltar pounds from the Barclays ATM. Gibraltar is tax free therefore you’ll find goods here cheaper than the UK. 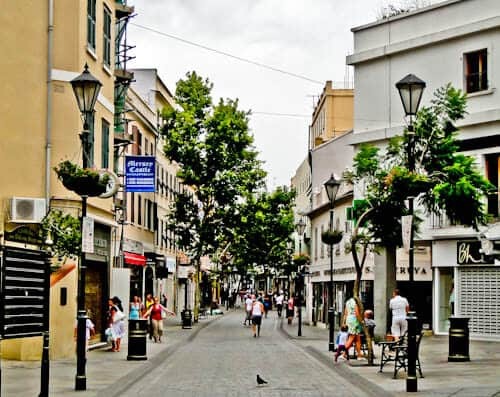 Furthermore, several of the famous UK high street stores are on the Gibraltar high street. You’ll even find a Morrisons supermarket! It’s incredibly easy to photograph the Gibraltar monkeys. 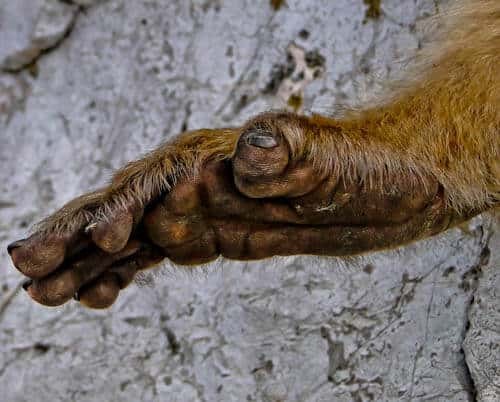 Firstly, they are in fact Barbary Macaques, a type of ape. They live on top of the rock and it’s inevitable you’ll see several of them up there. A combination of Barbary Macaques and the splendid views makes for an excellent photo! It’s proven that the Barbary Macaques do pose for photos but don’t let them lead you into a false sense of security. They’ll take your camera, phone or especially food at the first chance they get. Do you know the famous saying about the Barbary Macaques? ‘As long as they remain, so will the British’. A word of warning, Barbary Macaques can be vicious and have attacked several people in the past. The main reason for an attack is if they are provoked or teased with food. For this reason, I recommend you take a camera with zoom and let the other tourists feed them. Unless of course you’re feeling brave and go for a picture with a monkey on your shoulders! To get from Gibraltar to Tarifa, the southern tip of Spain, simply walk over the border to La Línea de la Concepcion and take a bus to Tarifa. 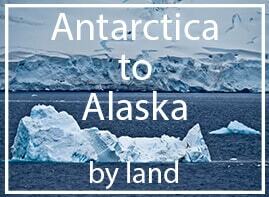 The buses leave regularly and take less than an hour. What’s more, they only cost a couple of Euros and can be booked online. Sit on the left for the best views.